The logistics industry is characterized by multilingualism like hardly any other sector. 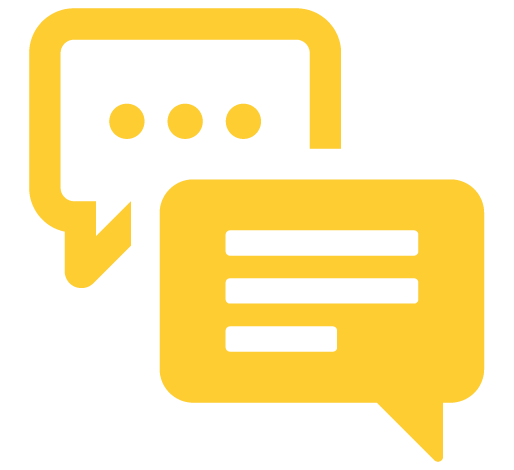 On a daily basis, suppliers from a wide range of countries meet with problems and hurdles in communicating with the in-house staff or the employee at the door. 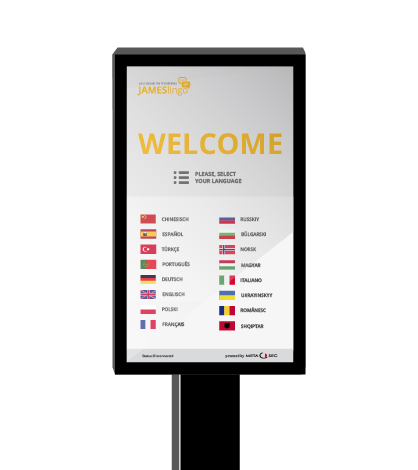 In order to reduce hurdles and ensure smooth communication, we have expanded our visit management system JAMES. JAMESlingo is the newest module designed to equalize the babylonian language. For more information, download the latest JAMESlingo brochure! The best way to illustrate the functionality is the example of a truck driver: He arrives in front of the customer’s gate, where a self-check-in terminal is waiting for him.  Here, he scans the QR code from his delivery documents or his identity card using a document scanner and is greeted directly by JAMESlingo in his country language. All communication between the personnel at the gate and the truck driver can now take place via the terminal. 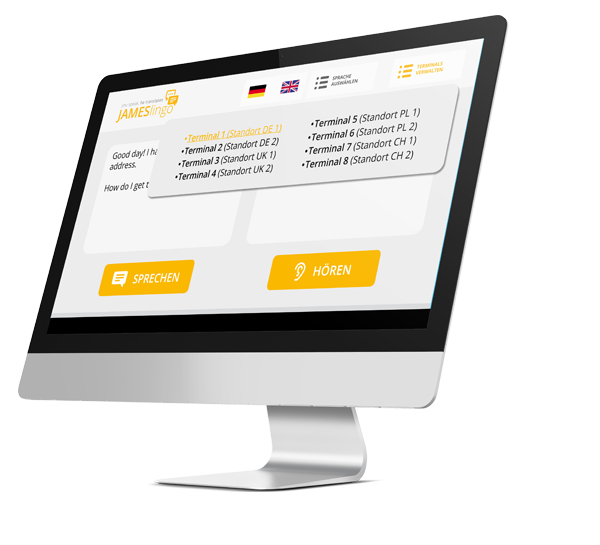 The driver simply speaks in the more integrated counter-intercom system and JamesLingo translates the sentences synchronously for the receiving staff. The output of the sentences is performed both as a spoken word and as a text on a monitor. 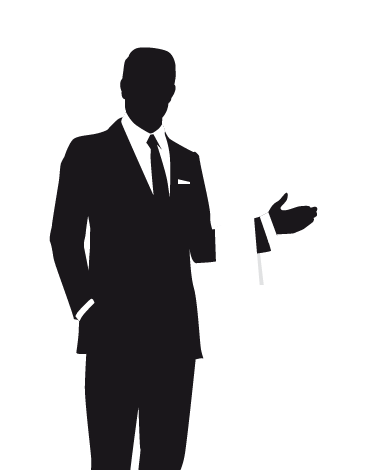 The doorman can now give instructions which are displayed to the driver as text in his country language. Communication can be so simple. In order to make the communication as simple as possible, at JAMESlingo we placed great emphasis on a clear and functional design. Large buttons, flexible font sizes and a clear interface promise a simple handling.  On the large touchdisplay, which is standard at our terminals, you can enter texts via touchscreen keyboard or spoken via microphone, the translation takes only seconds. 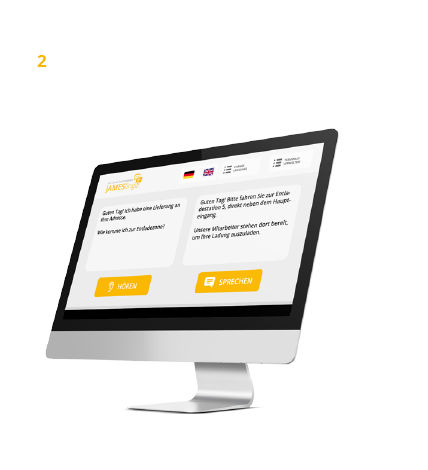 With already 10 supported languages ​​and a good word recognition, the communication between e.g. a foreign supplier and the staff at the gate. Also the administration of several terminals, centrally at a gate is possible. For this purpose, the doorman manages all the terminals conveniently via his workstation and can conveniently switch to and from the individual communication channels using a drop-down menu.